(*) I was not responsible for scheduling two key conferences on the same week in 2011 so who is really crazy? For reference these conferences were not on the same week in 2010. Next year will mark a significant change for the MySQL community. At least three major conferences will have dedicated MySQL content that is great for attendees getting the best information on how to use MySQL from the experts in the field. The 9th Annual MySQL conference will be held at is usual home of recent years. Colin will again be back as committee chair for a 3rd year and this will be my 6th straight MySQL conference. Program Chairs: Colin Charles from Monty Program AB and Brian Aker. Collaborate is a larger conference (4,000-5,000 attendees) that is actually three separate conferences in one run by the IOUG, OAUG and Quest. The IOUG content is generally a focus for Oracle DBA’s. Last year marked the first year with any MySQL sessions, and this year Collaborate will have dedicated MySQL tracks chaired by fellow ACE director Sheeri Cabral who is well known for her work in the MySQL community. ODTUG Kaleidoscope (Kscope for short) is a conference (1500 attendees) that is very focused on delivering the best content from the top community contributors for the communities benefit. 2010 was my first Kaleidoscope conference and I felt completely at home. Great people, great events and the best conference food I’ve had in many years. With a dedicated MySQL track in 2010 for the first time I will again be the MySQL Program Chair in 2011 with an extended format for the MySQL developer and DBA. The focus will be the best way to develop successful applications with MySQL and will include Architecture, Performance Tuning, Best Practices, Case Studies and Hands-On streams. 2010 is also not over. MySQL Sunday at OOW promises to be a great event in San Francisco in under 2 weeks. You can still register at a very cheap price of $75 for 4 dedicated tracks of MySQL content. Open SQL Camp being organized also by Sheeri in Boston in October will continue the tradition of a small but focused and free event for the MySQL community. 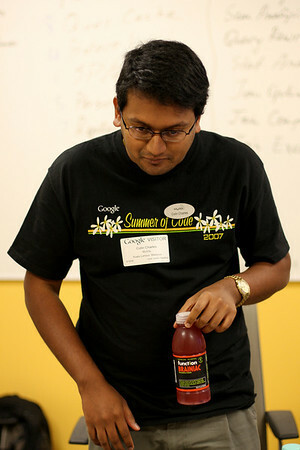 We recently held a dedicated MySQL Track at ODTUG Kaleidoscope 2010 conference for 4 days. This is the first of many Oracle events that will begin to include dedicated MySQL content. If your attending OSCON 2010 in the next few weeks you will see a number of MySQL presentations. MySQL will be represented at Open World 2010 in September with MySQL Sunday. Giuseppe has created a great one page summary of speakers. This event is described as technical sessions, an un-conference and an fireside chat with Edward Screven. I’ve seen tickets listed at $50 or $75 for the day. Open SQL Camp will be held in Germany in August, and Boston in October. This is a great FREE event that includes technical content not just on MySQL but other open source databases and data stores. You will also find dedicated MySQL tracks in Europe at the German Oracle Users Group (DOAG) conference in November and the United Kingdom Oracle Users Group (UKOUG) in November that I am planning on attending. In 2011 there is already a lineup of events that will all contain multiple tracks of MySQL content. For the MySQL community the introduction of various large Oracle conferences may be confusing. From my perspective I describe the big three as. Oracle Open World is targeted towards marketing. This includes product announcements, case studies and first class events. Collaborate is targeted towards deployment and includes 3 different user groups, the IOUG representing the Oracle Database, the Oracle Applications User Group, and the Quest Group. ODTUG Kaleidoscope is targeted towards development. This includes the tools and technologies for developers and DBA’s to do your job. Having just attended Kaleidoscope 2010, and being a relative unknown I left with a great impression of an open, technical and welcoming event. There was a great atmosphere, great events with excellent food for breakfast, lunch and dinner and I now have a long list of new friends. This conference very much reflected being part of a greater extended family, the experience I have enjoyed at previous MySQL conferences. I’ve already committed to being involved next year. I have uploaded my three presentations from the 2010 MySQL Users Conference in Santa Clara, California which was my 5th consecutive year appearing as a speaker. A full history of my MySQL presentations can be found on the Presenting page. Edward Screven – Chief Corporate Architect of Oracle provided the opening keynote at the 2010 MySQL Users Conference. Overall I was disappointed. The first half was more an Oracle Sales pitch, we had some product announcements, we had some 5.5 performance buzz. While a few numbers and features were indeed great to hear, there was a clear lack of information to the MySQL ecosystem including employees, alumni and various support services. I hope more is unveiled this week. Some notes of the session. After the sales pitch we got down to more about MySQL. What MySQL means to Oracle? We make the Oracle solution more complete as a stack for customers. What is the investment in MySQL? Integration with Oracle Enterprise Manager, Oracle Secure Backup and Oracle Audit Vault infrastructure. *This I expected and have blogged about, so I’m glad to see this commitment. MySQL 5.5 is planned on being faster with Innodb Performance Improvements & MySQL Performance Improvements. MySQL 5.5 sysbench claims, read 200% faster, write 364% faster. In closing the statement was “MySQL lets Oracle be more complete at the database layer”. Is that good for the MySQL Community or better for the Oracle revenue model? For those of you on the O’Reilly MySQL conference list you will no doubt see this email, but for readers here is the important bits. Sebastopol, CA, February 24, 2010—Wonder about the future of MySQL? Curious about what Oracle plans for the open source database software? Expect answers when Edward Screven, Oracle’s chief corporate architect and leader of the MySQL business, speaks at the O’Reilly MySQL Conference & Expo, scheduled for April 12-15, at the Santa Clara Convention Center and the Hyatt Regency Santa Clara. Edward Screven reports to CEO Larry Ellison, and he drives technology and architecture decisions across all Oracle products to ensure that product directions are consistent with Oracle’s overall strategy. He’ll discuss the current and future state of MySQL, now part of the Oracle family of products. His presentation will also cover Oracle’s investment in MySQL technology and community, as well as the role that open source in general is playing within heterogeneous customer environments around the world. I have not found a link yet to provide reference to this. For those in the US the annual MySQL UC is taking place again in April. For those in Europe we have dedicated room for MySQL and MySQL related products/variants/branches at FOSDEM 2010 being held in Brussels, Belgium on 6-7 Feb. This conference will feature a full day of talks with a format of 20 minutes presentation and 5 minutes Q&A. More information about submissions can be found at Call for Papers for “MySQL and Friends” Developer Room at FOSDEM 2010 now open! I had the pleasure to sit on the Performance Panel at the recent Percona Performance Conference. While the panel contained a number of usual MySQL suspects, one person was not familiar, that being Cary Millsap from Method R.
An expert in optimizing Oracle performance, Cary also gave an session on Day 2 that I attended. While he opened professing not to be an expert in MySQL, his talk provided valuable foundation knowledge irrespective of whether you use MySQL or another database product. Having come myself from 7 straight years in system architecture and performance tuning in Ingres, then a further 6 years in Oracle again heavily involved in system architecture and performance tuning, a lot of my experience in the 10 years of providing my own MySQL consulting is drawn from my past RDBMS experiences. In addition much of what I actually provide to clients today is common sense that I don’t see applied. A summary of the excellent content provided by Cary. From a user’s perspective, their experience consist simply of two elements. In general, business people simply don’t care about the “system” except thought the specific tasks that make up their pressing business needs. And for these users, performance is all about the time to complete this task. Throughput can be stated as tasks per time. Response time is the time taken per task. What individual part takes the most time, then look at the task before that. The fastest way to do something is don’t. To drill down, you need to attack the skew of each part, not the average. Performance is easy when code measures it’s own time and tasks. This closing statement on instrumentation I completely concur with. My final presentation during the 2009 MySQL Conference and Expo week was with the Percona Performance Conference on the topic of The Ideal Performance Architecture. My talk included discussions on Technology, Disk, Memory, Indexes, SQL and Data. you can now see video of the event at Percona TV. At the 2009 MySQL Conference and Expo I presented to a full room on MySQL Monitoring 101. This presentation focused on the following four goals. Are you monitoring RSS & VSZ? Yesterday was the surprise announcement of MySQL 5.4 at the 2009 MySQL Conference and Expo. It was unfortunate that the supporting information was not that forthcoming on the MySQL website. I tried for several hours to try and download, but no mirrors were initially available. Today I see some information on the mysql.com home page and finally able to get the binary. What I found most significant with this new major version release is a change in the binary distribution, as seen on the Download page. I was also surprised that this beta release highlights the emphasis of community contributions (long overdue), yet the community and indeed many employees of Sun/MySQL were simply unaware of this work. This is clearly a change in involving the community. While I applaud the beta status, hopefully a more stable product to start with, it’s development was done in a very closed company model. 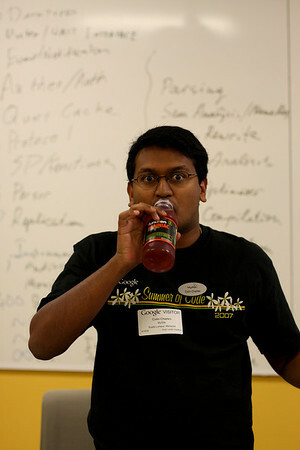 On Tuesday at the MySQL Camp 2009 in Santa Clara I presented Setting up MySQL on Amazon Web Services (AWS). This presentation assumed you know nothing about AWS, and have no account. With Internet access via a Browser and a valid Credit Card, you can have your own running Web Server on the Internet in under 10 minutes, just point and click. We also step into some more detail online click and point and supplied command line tools to demonstrate some more advanced usage. I have moved on to InnoDB: Innovative Technologies for Performance and Data Protection by Ken Jacobs at MySQL Conference and Expo. With a brief history lesson of inception from 1994, inclusion in MySQL in 2000 and acquired by Oracle in 2005. Most of the work was done by one person. InnoDB is based on sound database computer science using Gray & Reuters definitive text on database design. Some key points in Ken’s discussion. Adaptive Hash indexing for frequent queries on keys. The InnoDB plugin available in 5.1 has a number of new benefits. The big announcement is a new product – Embedded InnoDB. This has the high performance, reliability and rich functionality of InnoDB, has a flexible programmatic API. No SQL, No security. Some of the technical difficulties that required addressing. Opening introduction from Colin Charles got us started. Karen Tegan Padir VP MySQL & Software Infrastructure was the opening keynote. She comes from a strong tech background and is passionate about open source, the communities and how to make a successful product. There isn’t a person that doesn’t go a day without interacting with a website or hardware system that uses a MySQL database. The big news was the announcement of MySQL 5.4 – Performance & Scalability. Key features include. More information at MySQL 5.4 Announcement Details…. 2. MySQLCluster 7.0 is also released today. Some benchmarks 4.3x improvements. New features also include LDAP support. 3. The next release of MySQL Query Analyzer, 2.1 announced. 4. Sun announces a commitment to accept contributions from the community. 5. Community also gets the Monthly Rapid Updates. 6. MySQL Drizzle Project is discussed as a technology incubator. Partners of the year: Intel, Infobright and Lifeboard. Appliation of the year: Zappos, Alcatel-lucent and Symantec. Community members of the year: Marc Delisle, Ronald Bradford, Shlomi Noach. I find it surprising that in the official Sun Announcement there is no mention of MySQL for two reasons. Firstly, this was Sun largest single purchase of $1 billion only 12 months ago. Second, MySQL’s largest competitor is Oracle. While the Sun website shows the news in grandeur, the MySQL website is noticeably absent in any information of it’s owners’ acquisition. On my professional side, as an independent speaker for Sun Microsystems with plans for upcoming webinars and future speaking on “Best Practices in Migrating to MySQL from Oracle”, this news does not benefit my bottom line. I’ve not looked at compiling and running Drizzle on my server for the past four weeks. Well overdue time for a check and see how it’s going. I saw in today’s planet.mysql.com by Eric Day a new dependency is needed. libdrizzle 0.2.0 now in Drizzle is now required, so I started there. Compiling drizzle was not much more difficult. An investigation of Google Proto Buffers. I see that protobuf 2.0.3 is now available, but this was not the problem. I corrected this problem by adding /usr/local/lib to the default ld path, both the libdrizzle and libprotobuf libs are located there. InnoDB: Mutexes and rw_locks use GCC atomic builtins. 090331 18:38:08  InnoDB: highest supported file format is Barracuda. 090331 18:38:08  InnoDB: Database was not shut down normally! Welcome to the Drizzle client..  Commands end with ; or g.
Sweet! Now to try some testing & benchmarking before the barrage of conferences next month, 2009 MySQL Camp, Percona Performance Conference and MySQL Conference & Expo. I’m going to check out The Juice Database Benchmark next as a more realistic benchmark to DBT2 and sysbench. One of the first steps when addressing a MySQL performance tuning problem is to perform a system audit of the physical hardware resources, then identify any obvious bottlenecks in these resources. When dealing with CPU, a quick audit should include identifying the number of CPU cores your server has, and the types of these cores. The key file on Linux systems is /proc/cpuinfo. You need to look more closely at the file to determine the type of CPU (e.g. below the model name shows Intel(R) Xeon(R) CPU X3220 @ 2.40GHz. The combination of knowing the number of processors (cores) listed and physical id and siblings helps identify how many CPUs and how many cores per CPU exist. Other commands that help with identifying CPU/cores include mpstat and top. You can easily identify a CPU bottleneck using the vmstat command. The following shows an idle system. NOTE: The columns of vmstat may vary between different Linux Operating Systems. You should also be wary of a Single CPU Bound process. This is why knowing the number of cores is important. In this example, one CPU is bound. I will be detailing identifying bottlenecks of Memory, Disk and Network in future posts. You can also find out more at the MySQL User Conference “Monitoring 101 – Simple stuff to save your bacon” session. 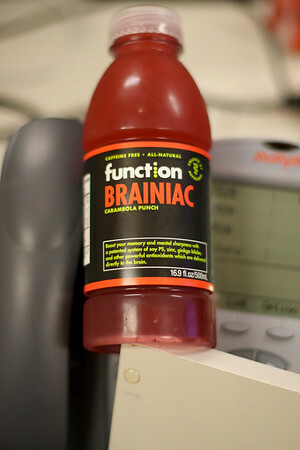 By drinking “Brainiac” at Google of course. Welcome to the 94th edition of Log Buffer, the weekly review of the database blogsphere. Adding to the list of usual database suspects, I have some more alternative considerations for our readers this week. Still some discussion from last weeks’ 2008 MySQL Conference & Expo. Baron “xarpb” Schwartz calls it correct in Like it or not, it is the MySQL Conference and Expo. Matt Assay of c|net gives us some of his opinions in three posts Two great posts on MySQL, Back to the future for MySQL and Between two consenting corporations… in followup to last week’s active slashdot discussion. Many others have also commented if you have not been following the news released before opening keynotes. If you didn’t get a hard copy, Sheeri Kritzer Cabral has published the Pythian EXPLAIN Cheatsheet many attendees received. Also last week was Collaborate 08 – Technology and Applications IOUG forum for the Oracle Community. This week we also see the Web 2.0 San Francisco in action, and excitement is also brewing for the PGCon – PostgreSQL Conference for Users and Developers happening in under a month as Robert Treat has Plane tickets booked for PGCon. Postgres was also visible at the MySQL Conference & Expo if you were looking with a prominent consulting team downing the blue elephant during the event. Wish I’d taken a photo now! Still more news from Adam Machanic of the Pythian group with SQLTeach Toronto: Almost Here. The 2008 Google Summer of Code announced this week showcases the Open Source databases MySQL (14 projects) and PostgreSQL (6 projects). Kaj Arnö talks more in Fourteen Summer of Code projects accepted 2008. The company PrimeBase Technologies also features strongly with two projects for the Blob Streaming storage engine for MySQL as I detail in Media Blob Streaming getting a Google boost. DTrace Integration with MySQL 5.0 – Chime demo in MySQL Users Conference 2008 by Jenny Chen is an example of Sun’s Open Source contribution to MySQL which I saw as a physical demo last week. Unfortunately, due to the imbalance in actually getting new functionality into Community contributions (actually non existence in current or next mysql version :-(), this functionality is only really for show. Dtrace with MySQL 6.0.5 – on a Mac describes some of this work actually making it into the next, next version. It seems this next Falcon Preview is available but not announced by MySQL generally as I note in Continued confusion in MySQL/Sun release policy. MySQL Gurus Mark Callaghan and Brian Aker comment respectively here and here on MySQL Heap (Memory) Engine – Dynamic Row Format Support. Work submitted by Igor Chernyshev of eBay Kernel Team (whom I’ve met previously and was most impressed with his ability to submit MySQL patch work, with little previous MySQL kernel knowledge, but extensive C++ knowledge). This work also contributed to eBay Wins Application of the Year at MySQL Conference & Expo. Mark also mentions in his post “How do users get it? There is no community branch into which people can submit changes with a GPL license.“. A topic your’s truly has also mentioned regarding the Community contributions, development and release. Perhaps a sign of more benefit to the community soon as Monty mentions. Baron Schwartz comments on Keith “a.k.a Kevin” Murphy’s work in Spring 2008 issue of MySQL Magazine. With a quick plug also for his upcoming book “High Performance MySQL – Version 2″ (me giving it a plug also now), Baron also has the best published anti-spam sniffer email I’ve seen, and recently updated to his new employer. Check his blog and let me know. Joshus Drake of Command Prompt Inc. The Postgres Company gets excited in Is that performance I smell? Ext2 vs Ext3 on 50 spindles, testing for PostgreSQL and gives us some insight into different settings of two popular file system types. It would be great to see a follow up with a few more different filesystems types. Pabloj “so many trails … so little time” extends his MySQL example to Postgres in Loading data from files. And on Postgres Online Journal, we get An Almost Idiot’s Guide to PostgreSQL YUM giving you a step by step guide of PostgreSQL setup, including the all important “Backing up Old Version”. We get a detailed book chapter from Keith Lake of Oracle OLAP The most powerful, open Analytic Engine in his extensive post on Tuning Guidance for OLAP 10g. David Litchfield brings attention in A New Class of Vulnerability in Oracle: Lateral SQL Injection. The title is sufficient for all Oracle DBA’s to review. Don Seiler gives his experience in Bind Variables and Parallel Queries Do Not Mix when an Oracle Bug is discovered the database to 64-bit H/W.. Matching LOB Indexes and Segments by Michael McLaughlin gives us a good CASE/REGEX SQL example exam question, and simple output to monitor the growth of LOBs in your Oracle database. Additional readings for Oracle folks can be found with Kenneth Downs writing Advanced Table Design: Resolutions and Dan Norris’ Collaborate 08 thoughts gives a concise review of a largely attended Oracle event. B Esakkiappan’s SQL Thoughts gives us a throughout lesson on SQL Server 2005 Database Transaction logs with Know the Transaction LOG – Part – 1, Part – 2, Part – 3 and Part -4 Restoring Data. Paul S. Randal of SQL Skills adds Conference Questions Pot-Pourri: How to create Agent alerts to his writings following many requests after a recent workshop. In Scalability features I would like to have in SQL Server Michael Zilberstein lists 3 key features including “Active-Active cluster”, “Indexes per partition” and “Bitmap indexes and function based indexes”. Some movement in the Ingres world with Deb Woods of Ingres Technology Blog discussing in Inside the Community – Ingres style…. the Ingres Engineering Summit occurring this week. Attendees included newbies to a 24 year Ingres veteran. That beats my experience in Ingres which now extends 19 years. We get another very detailed installation description, this time for Times Ten in Install Oracle TimesTen In-Memory Database 7.0.4 on Linux. 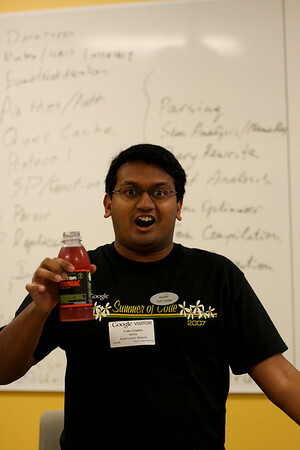 Google App Engine Hack-a-thons! being announced with events in New York on May 7th and San Francisco on May 16th. As a developer with an account and an excuse to use it more, I can’t win, being in the right towns on the wrong dates. OakLeaf Systems this week writes Comparing Google App Engine, Amazon SimpleDB and Microsoft SQL Server Data Services. Another good read just for comparison. Not in a blog, but in discussion in at the recent MySQL, was msql. It was interesting to find out that PHP was originally developed for msql first, and only used MySQL as the preferred database after some functionality requirement. Interesting what could have been? Thanks Dave for the opportunity to contribute to the week in review. Until my chance to charm the readers next time. 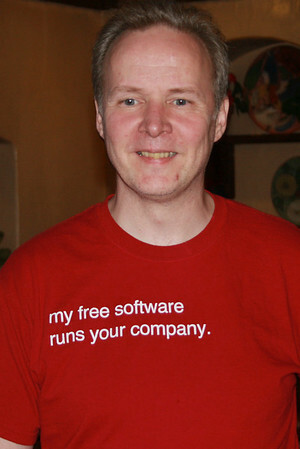 I leave you with a photo, and challenge our readers to find another person who would be capable of wearing a t-shirt that states “My free software runs your company”. Michael Widenius- Founder and original developer of MySQL can, and my thanks to you for MySQL, and the Vodka shots at the Conference last week. I was prompted following a few key words by Marten Mickos at the Sun Dinner on Wednesday evening, and subsequent one on one discussion with Marten, to post my thoughts of some significant news this week announced at the MySQL Conference. The decision to provide as it’s been termed is “Enterprise only features”. It is unfortunate this was not discussed in Marten’s opening keynote, having been exposed the evening before in the Partner’s meeting and hitting the blog sphere before the conference officially started. MySQL, past, present and future as an Open Source company requires a functional business model to succeed. This includes the funding of resources and the technology progression. It is also necessary in this business climate to build a successful business quickly. How do you do this? Well that’s probably the difference between a successful CEO and an unsuccessful one, and what Marten Mickos has produced is clearly very successful. I may not necessarily agree with the decisions made, more specifically not understanding at this time the rationale of which features are free and which are likely to be commercial, but I respect the decision made by Marten Mickos. These new feature considerations are in a future release of MySQL, they are also I’m sure not yet set in stone, however MySQL can not be all things to all people, no software can. It reminds me of the Homer Simpson car, designed to do everything Homer wanted in a car, but it bankrupted the previously successful company due the views of one individual to solve all their own needs, but not the needs of the majority. Who is affected by this decision, who will benefit, again it’s too early to tell. Monty indicates this is a MySQL decision, not a Sun decision. This indicates the transition of MySQL to being under the Sun banner of the largest open source company is well, still in transition. Today it was again confirmed to me, that the MySQL database will always be GPL and MySQL will not never revoke the functionality that powers the world’s largest websites as free software for the database server. As an advocate for the MySQL community, I’d like to consider myself one of the pulses, a thought in the MySQL conscious and even a vocal lobbyist. I am however not interested in being a disruptor in the MySQL ecosystem. A Communications Lesson on Slashdot I believe correctly states “Sun to Begin Close Sourcing MySQL.” The headline is wrong. A number of people have posted their comments, let’s stop bickering about it, and let’s see something positive happen for the benefit of the community. For example, as I’ve mentioned previously regarding the lack of differentiation for the Community version, again mentioned by Mark Callaghan in A better (community) HEAP engine where a worthwhile patch can’t be of benefit to the community in a binary release for the lay person. When in management, I am responsible for contributing to the success of the company, to play a significant role in the functional business model, to ensure funding for resources and technology progression. In other terms, how can revenue generation be achieved to fund prominently salaries of staff, including my own. How am I going to do this? This will be the difference between my huge success or not. Jay’s opening lines regarding the final MySQL Conference keynote speaker was: “I work with a lot of data. I think peta-bytes, maybe exa-bytes”. This was relating to Jacek Becla from the Stanford Linear Accelerator Center, giving his presentation on “The Science and Fiction of Petascale Analytics”. The goal of the Large Synoptics Survey Telescope (LSST) is the storage of 50+ PB of images and 20+ PB data. The next database frontier is obviously building huge databases. What part will MySQL or other relational databases play? Some interesting facts were. The Digital Universe Created 161 Exabytes of data last year. Google, processes 20 petabytes of data per day. The primary goals are: Scale, parallelize, fault tolerant. The slides from my 2008 MySQL Conference Presentation can be downloaded from here. Q: What a MySQL fellow does? A: Maria, an ACID, MVCC engine that plans to be the default non-transactional and default transactional engine for MySQL. Presently development with a team of 6 people and plans of adding 2-3 developers the work on Maria should see the 1.5 release this month. This is a MyISAM replacement. It was interesting to hear about log file size (suggesting being big like 1G), and there are not circular. New log files will be created, and only files purged only when no longer used. There has been a change in default page size, presently defaulting to 8K for both data and indexes. Maria 1.5 does not support INSERT DELAYED and FullText and GIS indexes are not crash safe. Have a drop everything policy on new bugs to have Maria as stable as possible. What would be great if people could create a single line (one tip) from each talk and we could aggregate these for an executive summary for tech people. This was prompted from only a few minutes looking in on Baron Shwartz’s EXPLAIN presentation. What I didn’t know was. If only I had time to whip out an application on my Google AppEngine and get twitter feeds with say a mysqlconf keyword. Perhaps we need a all night BoF hackfest to do it. PrimeBase PBXT/Blob Streaming BoF – What you missed. A small but committed group met at 8:30pm to hear more about our the plans from PrimeBase Technologies here at the 2008 MySQL Conference. Our discussion started in true MySQL form. Monty Widenius presents to the group plastic cups and a bottle of Absolut Vodka. After a shot, Paul starts with “While I can still talk”. Monty, slams another bottle of Vodka on the table. Paul outlined some of the roadmap plans from existing the Alpha release to Beta releases. He talked about the plans for Synchronous Replication and there was active discussion on various use cases. There was also discussion and input on Solid State Drive (SDD) Technology which will be tested with PBXT in the coming months. Also in the MySQL Press Releases today but dated for tomorrow is Sun Microsystems Announces MySQL 5.1. I find the wording clearly a new language from my previous understanding — “pending general availability of MySQL™ 5.1″. We now see the trademark notice, obviously a Sun influence. We now have a “pending” GA version. MySQL is obviously very keen to release MySQL 5.1 for GA. This was expected at last years’ MySQL conference. Many in the past year have expected this prior to this year’s conference (we are now being informed late Q2 2008). There was an anticipation there would be two RC versions, this is now the third. So what exactly does “pending” mean? Will 5.1.24 be renamed Production if it passes community acceptance (I say community because it’s not an Enterprise release). This would be a change from previous naming policy. What’s most likely is hopefully they release 5.1.25 as production. Comes back then to why the words “pending general availability”, and not “next release candidate” which is what it is. Previously MySQL also made new with the initial RC status of 5.1, moving away from the previously policy. At Day 1 of the 2008 MySQL Conference and Expo today, our high numbers of attendees (reported at 2,000) have resulted in Standing Room only in a lot of talks. This has got to be excellent PR. I got to sit in on the Memcached and MySQL session by Brian Aker and at the end I stuck my head in to Best Practices for Database Administrators by and Explain demystified by Baron Schwartz both 2008 MySQL Award winners. All full to overfilling presentations.